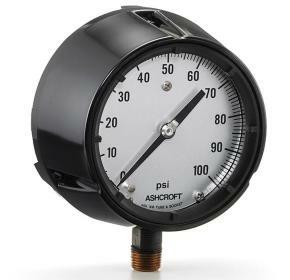 The Ashcroft® 1220 industrial pressure gauge is a good solution for general pressure measurement. Providing durability, reliability and performance, it is well-suited for many industrial applications. An ideal product that satisfies many installation requirements. Dial size: 4 1/2", 6" and 8 1/2"